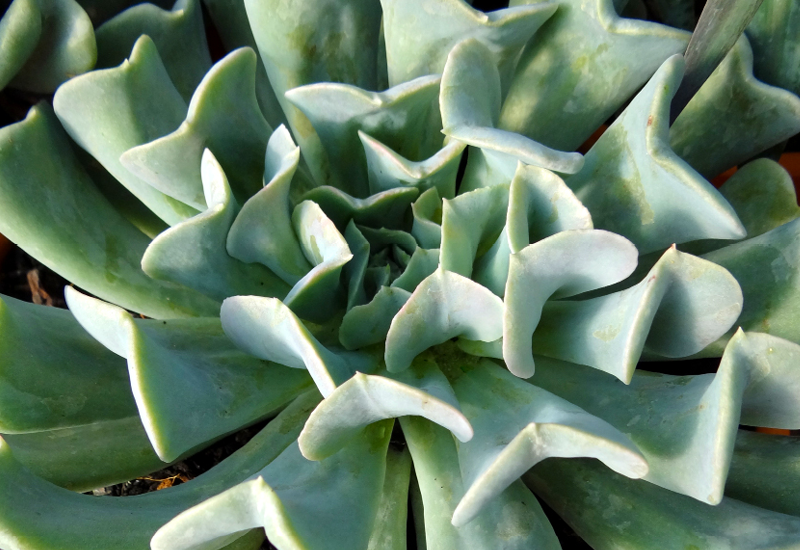 We’re head-over-heels for Echeveria Topsy Turvy and it’s easy to see why with these quirky silver leaves! Curly and fun, this little plant will liven up any space. Growing to a height of 20cm and a width of 35cm, this succulent is a great choice for a small/medium pot of any style. Throughout summer and autumn, gorgeous orange flowers will feature – The buds are pale and they darken as they bloom. Echeveria Topsy Turvy loves the sun and a very occasional misting of water.